Plum Blossoms: One of my buyers actually shared this inspirational quote with me, as she wanted to give this pendant to her friend who was struggling with cancer. "Even as winter tries to hold it's grip, the plum tree bursts forth with the earliest blossoms of spring" … which roughly translates to life will triumph. 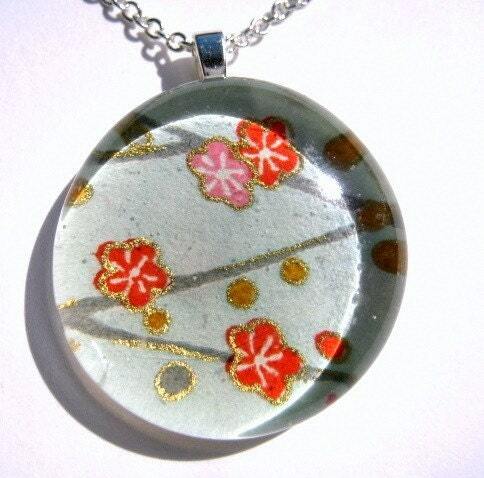 These plum blossoms symbolize strength, hope, survival and new beginnings. 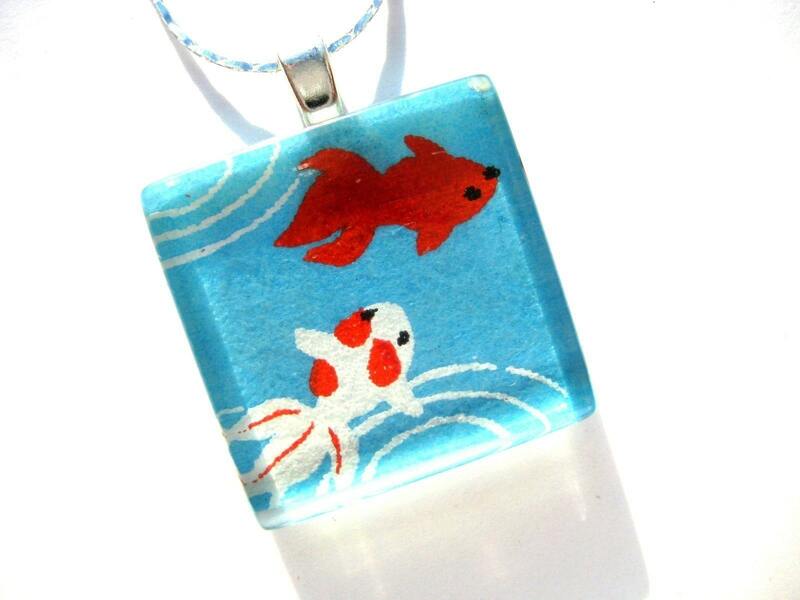 Koi Fish are symbolic of perseverance and good fortune and success in life. The koi fish are able to swim upstream, against the current, against seemingly unsurmountable currents in order to get to where they want. They are also thought to be symbols of wisdom, knowledge, longevity, loyalty, prosperity, and luck. 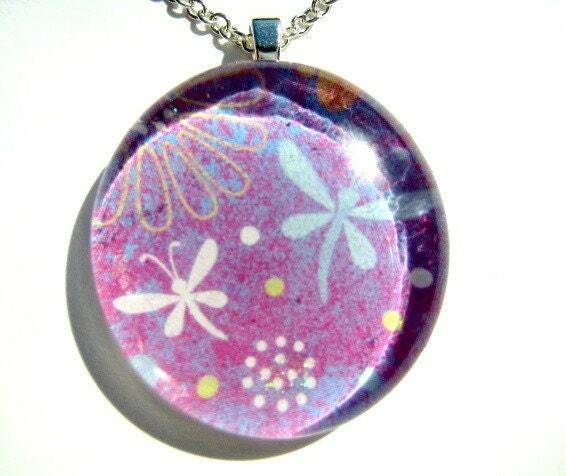 Dragonflies are thought to also be symbolic of love, new beginnings, good luck, and renewal. In the Spring, they are often seen flying in pairs, which are enblematic of marital success and brings a notion of prosperity and harmony. 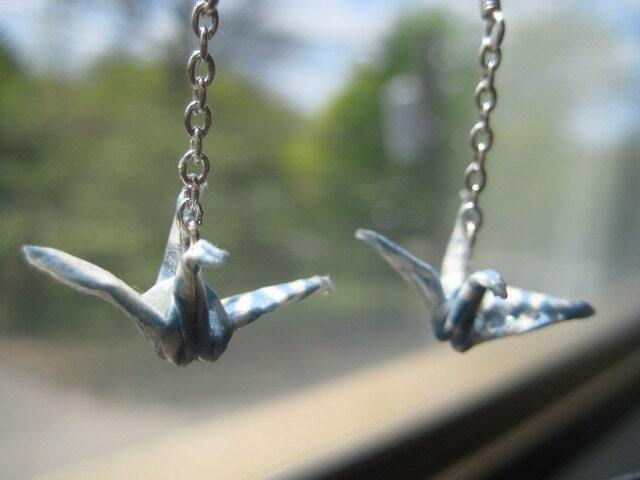 Cranes: Cranes are symbolic of peace, happiness, and longevity, as well as are often used in Asian weddings because it is said that cranes mate for life and are devoted to their partners in all seasons! Koi Fishes are known as well wishes and good luck fishes. Its a significant ancient mystery symbol which brings the owner success and good life.